Jacob Fox joined us on the executive team just this year. In terms of years of service, he is a spring chicken, but don't let scant membership detract from years of experience. He touts 20+ years of fervent service to the pursuit of self-discovery and self-advocacy. Over these years, he has gained insight into how to to teach others these skills, facilitating his position as a Family School Liaison Worker in Smoky Lake County schools. He is fun loving, but also has a philosophical side. Don't be caught sleeping while he speaks, as among the drivel, there are some real lexical gems. Kelsie McCabe has been working with children and youth since she was in college in 2010. She has experience working in settings with YAC and CFS. She has also spent some time working with Big Brothers Big Sisters and a group home. " I have been working for FCSS as a Family School Liaison since 2012. I enjoy the outdoors and I like to experience new things. I am excited to take on this new opportunity as an executive member." Sarah Lachance has been working as a Family School Liaison Worker since 2013 for the Athabasca County FCSS. She has gained experience working with students from Kindergarten all the way through to adult education since graduating from MacEwan in 2008. This is Sarah’s first year as an executive member and she looks forward to the new challenge. I have worked in the field of Mental Health for the last 15 years. It has been an amazing journey along an adventurous and windy path. I've worked with toddlers, adults and youth all across Alberta. In 2017, I was lucky to find the career that feels like home; working as a Family School Liaison with the Battle River School Division. I am currently working with children, youth and families in grades 1-12 in Camrose and Sedgewick. My self-care recipe has a dollop of art, a handful of music, a dash of competitive sports and a pinch of mindfulness...of course I can't forget to stir it up with a whole lot of laughter and family time! 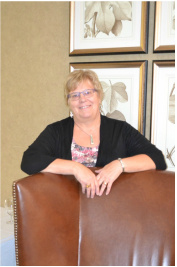 Eva Rasmussen has been a Family School Liaison Worker for Wetaskiwin Regional Public Schools for 12 years. This is her sixth year on the AAFSLW executive. 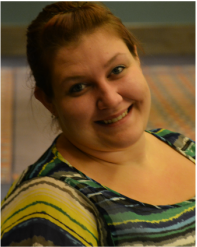 Eva enjoys her position as Treasurer of the association and she looks forward to a great year. Stacey McLennan joined the AAFSLW Executive in 2018. Stacey has been wholeheartedly championing for others as a social worker for almost 15 years, 9 of which have been with Battle River School Division as an FSLW. Stacey is passionate about her students, her family of six and picking up a paintbrush to unwind. She is also excited to take on the new and exciting challenge of maintaining the AAFSLW website. If you are interested in participating on the AAFSLW Executive please let our President know!